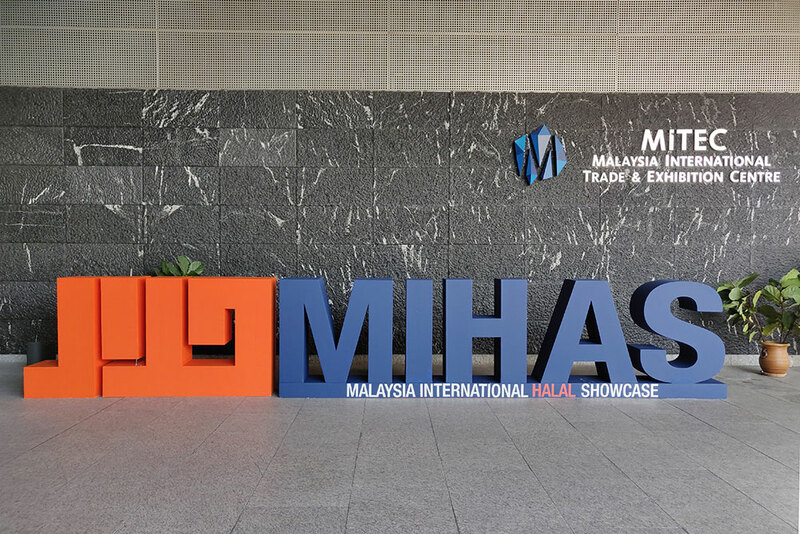 The 16th Malaysia International Halal Showcase (MIHAS) opened on 3 April with the tagline of Think Halal, Think MIHAS. The organizer recorded as many as 7,000 visitors on the first day, compared to 4,000 last year, and it is expected to reach 25,000 in total by the last day. There are 9 companies from Japan setting up booths at the show, and 10 other companies are joining as buyers. This year’s show, which has grown to be the biggest halal exhibition in the world, gave much focus to Japan, the country looking to host the Olympic/Paralympic Games in Tokyo next year. 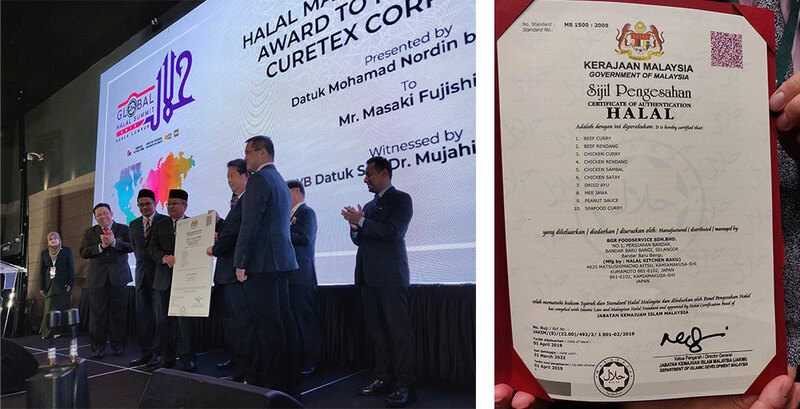 During the opening ceremony on the stage, JAKIM awarded a halal certificate to the Halal Kitchen Raku as part of the collaboration between Malaysia and Japan toward the Tokyo Olympic/Paralympic Games. 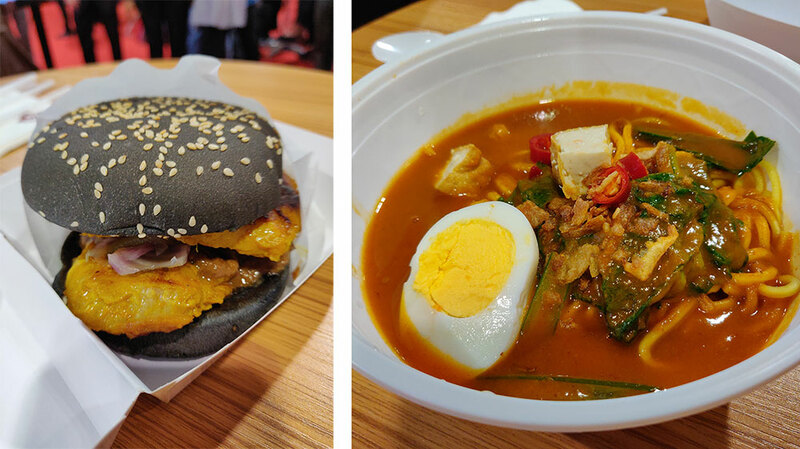 Halal Kitchen Raku is a joint venture set up between Curetex, Japan, and BGR Food Services, Malaysia, and plans to build a factory in Amakusa, Kumamoto. 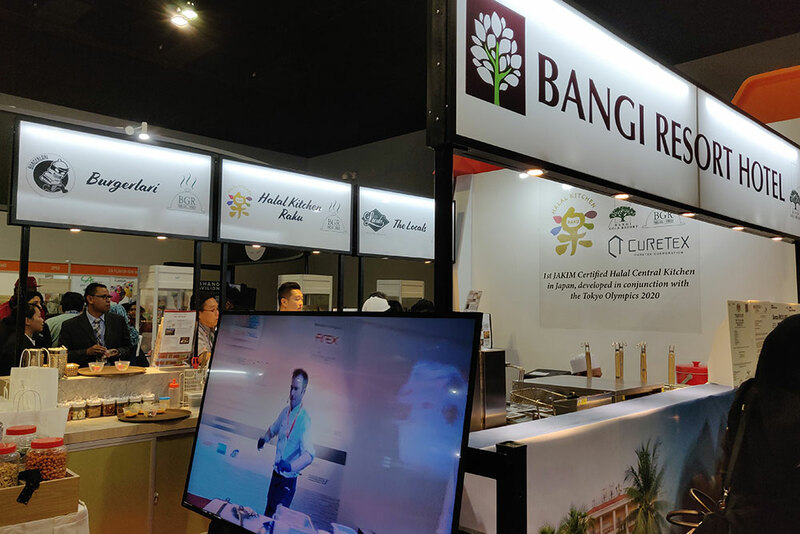 The central kitchen of the business is the first of its kind to be recognized as the Japanese halal central kitchen by JAKIM, the halal authority considered to place the strictest halal standard in the world. The kitchen offers authentic cuisine from Japan and Malaysia. Ingredients essential to the Malaysian food are prepared at the BGR factory in Malaysia that is also certified as halal by JAKIM, and shipped to Amakusa. Then ingredients from Japan will also added to the final dish, which contains no preservative, artificial scent additives, or colorants. The location for the Amakusa factory was selected for its proximity to the source of ingredients, and also because the factory could secure the retired staff with profound experience in the food industry. The oldest staff is at 74 years old, and holds a high hope for Curetex and BGR that can offer very meaningful jobs to him. The kitchen already had the halal certificate from a Japanese certification body. When asked why they needed another certificate from JAKIM, Fujishiro responded “We target the overseas consumers. 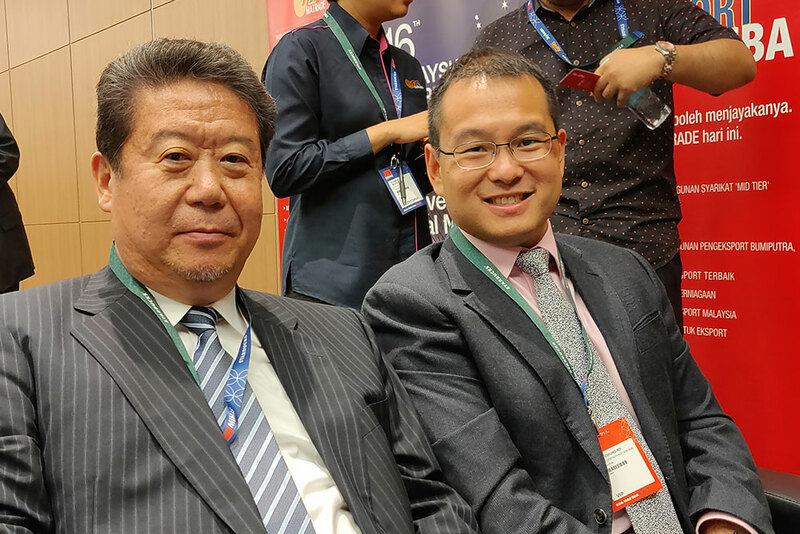 If we want to enter the international market, we thought people won’t be free of worries until we pass the strictest standard from JAKIM.” Through its relationship with BGR and the business operation that it had in Singapore, Curetex started to explore how it could get certified. To be certified as halal, a restaurant needs to pass the test for ingredients, cooking utensils, logistics and all other items. After 9 months of a thorough review by JAKIM, the kitchen was authorized to receive the halal certificate on 1 April, two days before the opening of MIHAS. The demand for Halal Kitchen Raku is on the rise. Requests are coming in from a restaurant in Ginza, hotel, department store, highway service areas, and others. A road to the halal certificate can be very lengthy, but it also presents a huge opportunity after the process. 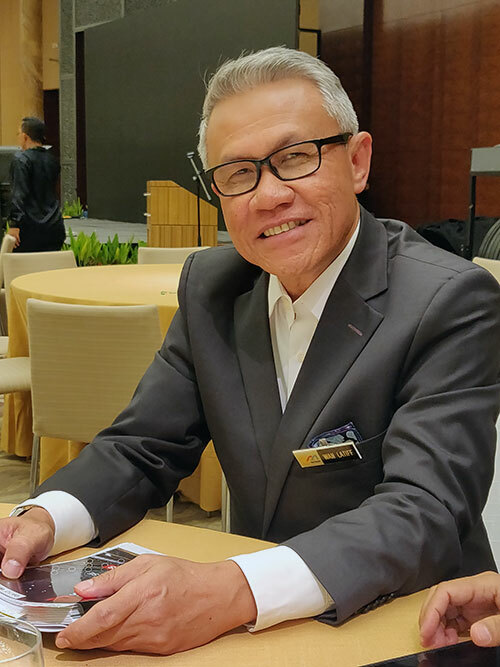 Wan Latiff Wan Mus, the Chief Executive Officer of The Malaysia External Trade Development Corporation (MATRADE) says that the easiest way for Japanese companies to receive a halal certificate is to establish a working relationship with Malaysian companies or to enter the Malaysian market. It could be said that Halal Kitchen Raku followed the words of Wan Latiff Wan Mus. Think Halal. Think MIHAS. If you are really thinking halal, MIHAS 2019 is a perfect place to start.